** IMPORTANT ** - Requires at least iPad 2, iPhone 4s or iPod touch (5th gen) or newer. 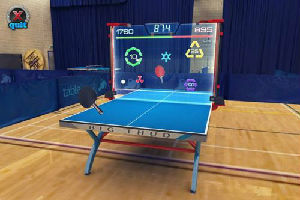 We also love games with awesome arenas, epic career modes and insane mini-games - so we made Table Tennis Touch, the most advanced table tennis game on the App Store. 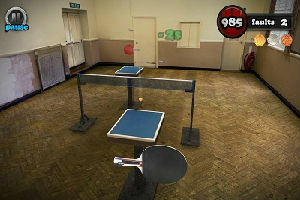 If you're like us and want simple controls, eye melting speed, crazy spin and rich retina graphics then we've made Table Tennis Touch for you too. We know you'll love it - because we do. 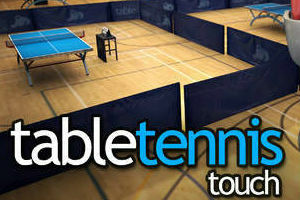 See for yourself the love and attention we've poured into our trailer video at www.tabletennistouch.com and turn up the sound! GREAT VALUE - We're tired of spending money on games so easy you finish them in an hour. Our epic Career mode is certainly designed to last. It starts out gently but builds to near impossible speed - will you ever beat the Chinese king of spin Kao Jianjun? Prove yourself! MORE FUN - Tournaments are great and we have lots of them, but we've also made some insane mini-games. Go against the clock knocking down skittles, serving around moving obstacles, returning spin onto tiny-tables and much more. Our half table might just be the toughest game you play this year! SOMETHING FOR EVERYONE - We want everyone to enjoy our game. We made some opponents so easy a monkey could beat them and others so hard you may never win, ever. Are you smarter than a monkey? QUICK GAME - Short on time? Take on our 10 favourite players in Quick Game mode. Or turn that dial up to 11 and take on Kao himself. You'll need killer spin to win! BRING IT - We made Table Tennis Touch for people who love table tennis, who love quality and who love a challenge. If that's you, bring YOUR best game to the table. 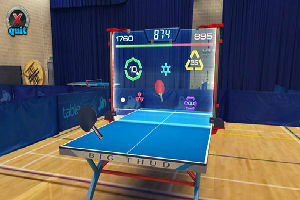 We've made Table Tennis Touch universal: buy once and play on your iPhone, iPad and iPod touch! Your career progress will be shared across all your iCloud devices. You can't play fairer than that. Our game has two in-app purchases available but neither is required to complete the game. They may add more fun but certainly aren't necessary to win. We're very sorry but if you have an iPad 1, iPhone 4 or iPod touch 4th gen (or older) we simply can't make Table Tennis Touch run smoothly on your device. We tried really hard but the game play suffered. Table Tennis Touch will not play on these older devices so please do not buy.